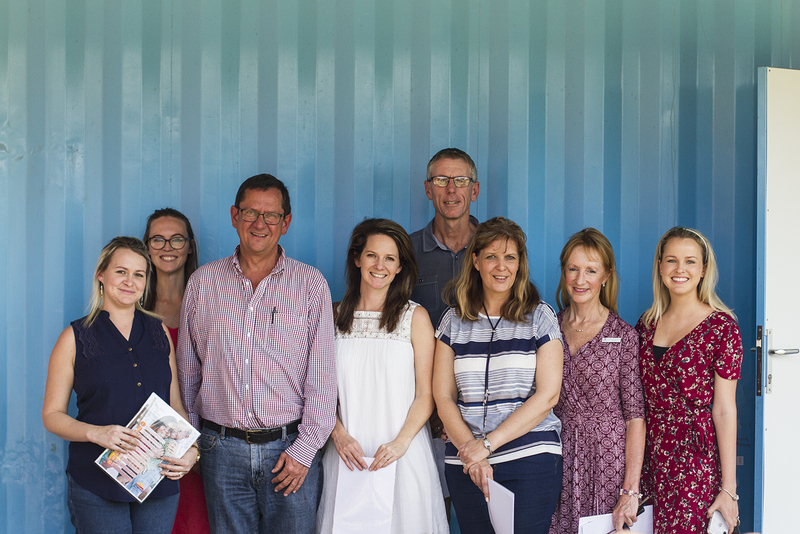 Board Member, Gavin Simpkins, the school Heads and marketing team were very inspired by their recent ‘year reflection’ visit to Project Bright in Molweni. The Pre-School is one of eight schools Focus on iThemba aligns with. The team witnessed the remarkable transformation a year post the structural revamp. 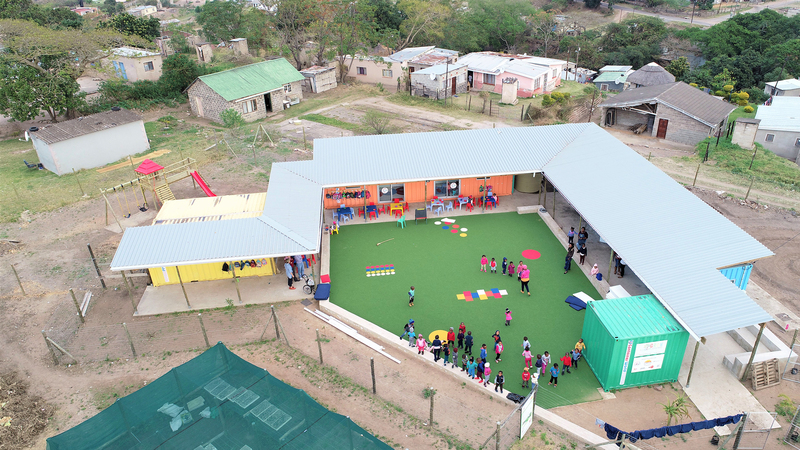 Through the support of 14 donors the school now has bright and beautiful recycled shipping containers for their learning spaces and an incredible ECD curriculum path. Monthly Focus on iThemba steers an Early Childhood Development and iThemba Scholars meeting where Sharron Lane (Director, Waterfall Pre-Primary), Brad Cooper (Headmaster, Watefall Prep) and Paula Mason (Principal, Waterfall Pre-Primary) share valuable feedback on these important two pillars. Pictured at Project Bright from left: Sam Lee (Administrator, Pre-Primary), Hayley Dennyson (Marketing Manager, Prep and College), Gavin Simpkins (Waterfall Schools and Focus on iThemba Board member), Beth Marchand (Marketing Assistant, Prep and College), Brad Cooper (Headmaster, Prep), Paula Mason (Principal, Pre-Primary), Jeanette van der Merwe (Principal, College) and Tayla-Anne Goss (Team Leader, Focus on iThemba).